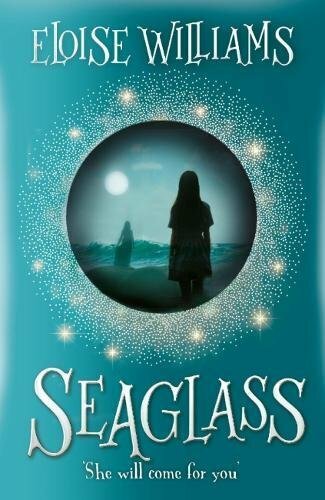 This ghost story, set on the Welsh coast, weaves itself effortlessly around a family drama. 13 year old Lark is enduring dark times. Her younger sister Snow has stopped speaking, their mother is very ill and she and her best friend Gwenni are no longer speaking because Gwenni has abandoned Lark for a boyfriend-and a not very intelligent one, either. To make matters even worse, Lark and her family are meeting her mother's friends and their children at a caravan park for a holiday-expressly requested by Lark's mother, who Lark believes is dying. Unfortunately, Lark's problems are not merely confined to this world but spill over to the life beyond. When she and Snow find a hidden, ruined house they both encounter the ghostly presence of a young girl who tries to draw Snow away to be her friend in her loneliness. The novel revolves around this triumverate, with Lark desperately trying to anchor her sister to the present day. Williams injects a credible slice of history around the ghost, both through Mam-gu, the girls' maternal grandmother and the local archives. Drama and suspense are created beautifully but Williams also demonstrates her mastery of teenage pack mentality, dialogue and pre-occupations. When the clans initially gather on the caravan site there is hostility, grandstanding and a good deal of emotional and mental cruelty. As the story progresses and priorities change the various factions begin to work together to resolve the problem of the ghost and Snow. But it is Mam-gu who provides the key to the mystery and who gives Lark the courage to solve it. This affecting story rings true on every level and while the ending is ultimately a happy one, it is also one freighted with intense emotion.